Have you thought about what happens to your property after you have passed on? What steps have you taken to ensure your heirs receive their share in your estate? Is there anyone you want to give your estate to? Make sure you determine the division of your estate by drafting a will. 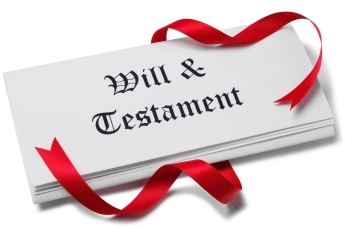 So what is a will and what are the requirement of a valid will? The court determines the validity of the will. However, at the time of the will’s execution, the testator must be of age, possess a sound mind, and must intend the document act as a testamentary instrument. Age– the testator must be: at least eighteen years old; lawfully married; or in the armed forces. Sound Mind– the testator must understand: the will is a testamentary document; the will distributes property at death; the nature and extent of their property; and the natural objects of their bounty. Intent- the testator must have the intent to distribute property at the time of death according to the terms of the will. Do I need to have witnesses sign my will? In addition to the above requirements, a will must also be signed by two witnesses at the time of its execution. This requirement can be waived by writing a holographic will. A holographic will is a will written completely in the testator’s handwriting, and signed by testator. Who isn’t qualified to be an executor? Once a will is created it can be canceled once revoked by the testator. 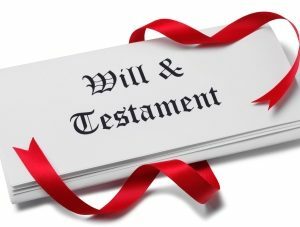 Revocation of the will occurs by the creation of a subsequent will that contradicts or expressly states the old will is revoked or by a physical act of the testator such as destroying the will. The will can also be marked out but the markings created by the testator must touch a substantial part of the will. Just because the will has been revoked does not mean it cannot be revived. Revival of the will is never automatic but can be done by re-execution, republication, or if the court determines the revocation was based on mistake of law or fact the revocation can be canceled if the testator would not have revoked the will if he knew the truth. How does your estate get distributed without a will? Writing a will is important and without one, the court will distribute your estate following the rules of intestate succession. Intestate succession can cause issues within the family because of the constant fighting of certain properties of the estate. Having a will eliminates those issues and each person in the will receives their intended share. If you need a will and looking for a good wills and trust attorney in Spring, TX, North Houston, Woodlands, Klein, Tomball, Cypress, FM 1960, Galveston, and surrounding areas, call the A.T. Law Firm for a free consultation. We also travel to different counties including but not limited to Harris County, Montgomery County, Liberty County, Chambers County, Galveston County, Ford Bend County, Waller County, and Brazoria County. In addition to English, we speak Spanish, Farsi (Persian), and Kurdish.